Excuse me while I narc on all the dudes smuggling coke in their Porsche Carrera GTs running the Gumball Rally—the car has a smuggler’s door! I just saw this for the first time when I watched the beanstalk who used to be my coworker Doug DeMuro’s video going over the Carrera GT in detail. He’d never seen this before either. 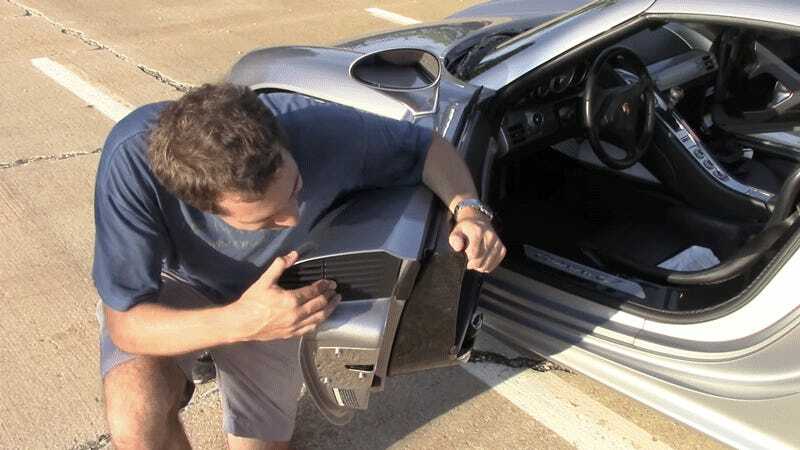 So not only is the Carrera GT the last great analog supercar, not only does it have an engine from a scrapped F1 program and a for-years-secret Le Mans car, but it also has a little door-within-a-door for hiding all the cool stuff that the rich version of you would have to hide. I can’t get over how great that car was.